I've seen solid black tattoos where it was obvious where the coverup areas were. If solid black can't do it, then what can? It's a simple answer: Detail. Clever use of detail can not only hide the old piece but also disguise which parts of the new tattoo are coverup and which aren't. 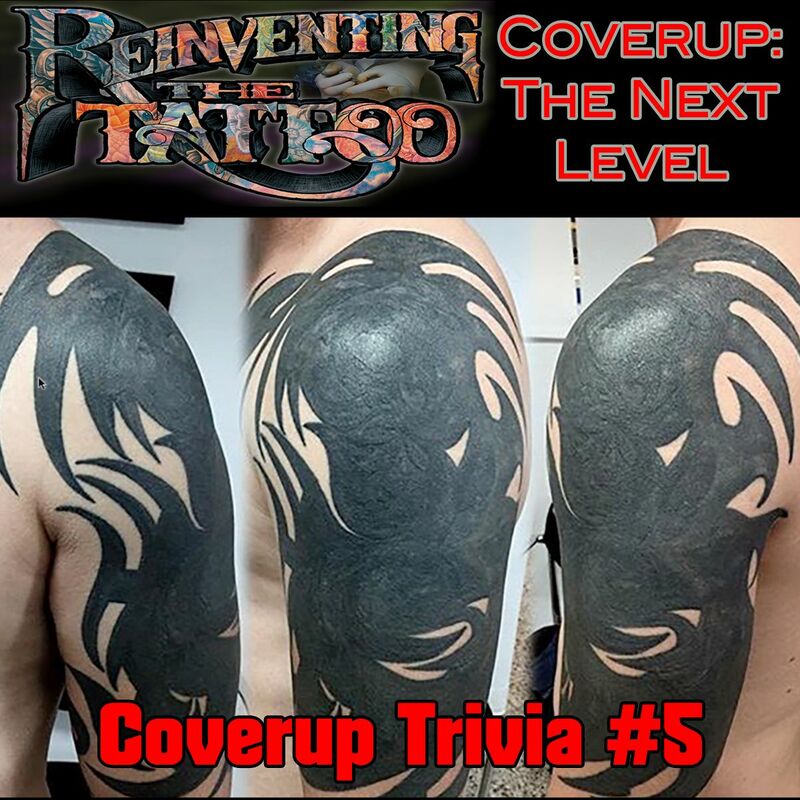 We dis cuss many examples of this in Coverup: The Next Level, now included FREE in your Reinventing The Tattoo subscription, building on last year's foundation, Coverup: A Fresh Look. Find out more at www.ReinventingTheTattoo.com.